What was Thomas Jefferson’s favorite apple? What does a Sheep’s Nose apple taste like? What was Henry David Thoreau’s favorite eating apple? Each year the 571-acre Scott Farm Orchard, listed on the National Register of Historic Places and in active cultivation since 1791, celebrates heirloom apples with a free apple and cider tasting. This year the event will take place on Sunday, October 9, and will include three opportunities to taste and learn about fresh, baked and squeezed heirloom apples: at 10 a.m., noon and 2 p.m. Enjoy a tasting of some of the farm’s 120 varieties of apples and listen to the enlightening history of these unique fruits with orchardist Zeke Goodband. Heirloom apples and cider will be on sale after the tasting. 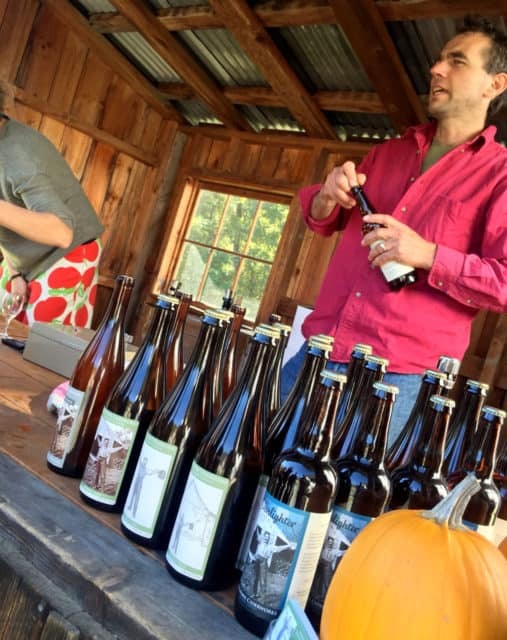 Whetstone Cider Works will also be sampling its hard ciders. Scott Farm Orchard is located at 707 Kipling Rd. in Dummerston, VT; phone: (802) 254-6868.